Alexander L. Domb is presently a shareholder in The Law Office of Alexander L. Domb, P.A., a law firm specializing in commercial litigation with an emphasis on real estate matters, including real estate transactions and wills and trusts, for over 32 years. 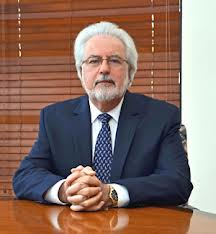 In addition to practicing law, Alec is a member of the Palms West Hospital Board of Trustees, and is a former president of the Wellington Chamber of Commerce. Born in Brooklyn, NY, Alec attended the University of Miami undergraduate school of Business Administration and graduated with a degree in Finance. He also attended the Nova Southeastern School of Law, where he received his Juris Doctor. He is presently a member of The Florida Bar, and the Palm Beach County Bar Association. He also maintains a Florida Real Estate Brokers License. Alec has been married to the former Melody Shernoff for almost 32 years. Melody is a registered nurse and owner of jewelry design firm, Melody Creates. They reside in Wellington, Florida.